Are you someone who’s currently driving a sedan or a compact crossover longing for a different experience from your ride? With all the different types of vehicles on the road, there’s never been a better time to really experience a variety of driving experiences, depending on the vehicle you drive. A great option, if you’re looking for an entirely different driving experience, is a Toyota pickup truck like the Clermont Toyota Tundra or Tacoma. However, trucks are vehicles that serve a specific purpose and they’re not meant for every driver out there. To see if you’re a good candidate to drive a Toyota pickup truck, check out this guide on the pros and cons of owning a truck from Toyota of Clermont. Interior and Cargo Space: While it’s fair to assume that pickup trucks lack interior space due to their large bed sizes. However, trucks are now being designed to include larger cabin sizes and larger bed sizes in order to maximize cargo loads and passenger comfort. Those purchasing a Clermont Toyota pickup truck can choose between options like single and double cab or short and long beds. This gives future drivers the opportunity to highly customize their truck to meet their needs. Power and Towing: When it comes to power and torque, the truck is king. Not only can trucks carry larger loads in the back bed, but they’re also renowned for their impressive towing capacity. For example, the Clermont Toyota Tundra pickup truck can tow over 10,000 pounds and can be equipped with several different types of tow hitches. Off-Roading: If you’re someone who dreams of taking things off the beaten path and exploring new destinations, then you’re going to want to use a Clermont Toyota truck to do some off-roading. Trucks like the Toyota Tacoma and Tundra are engineered and fortified to handle the rough terrain. 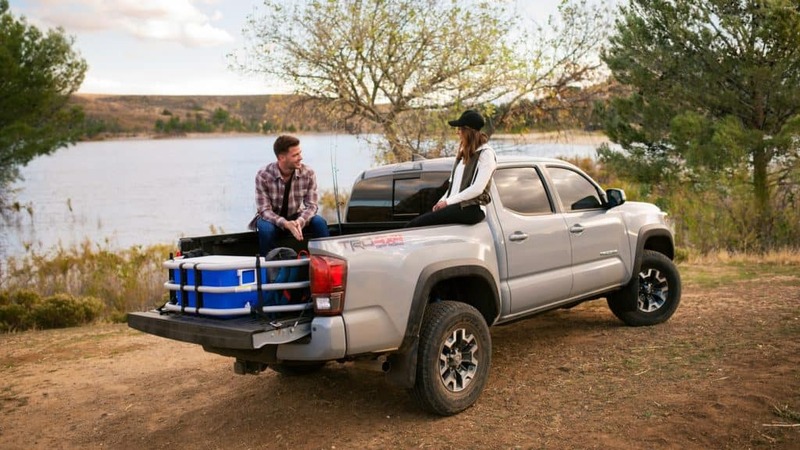 Not only that, but pickup trucks include several Clermont Toyota features like four-wheel drive, active traction control, CRAWL control, two front towing hooks, skid plates, and multi-terrain select and/or monitors. Fuel Efficiency: Trucks are more like gulpers than sippers when it comes to gas. They’re much larger in size and have bigger hardware under the hood. Essentially, get ready to trade MPG for power. Space: While you have more interior and storage space on a Clermont pickup truck, it’s a much larger vehicle to maneuver around than a sedan. Parking becomes more difficult, your blind spots are larger, and there’s always the chance of toppling when turning around corners. Price Tag: Trucks are specialty vehicles that serve a specific purpose, towing, hauling, and putting in work. Because of the additional engineering and structural features, trucks carry a higher price tag. If you’re looking for something to simply drive that sits higher and has more interior space, you’d be better off purchasing a Clermont Toyota SUV. Ready to get behind the wheel of a rough and tough pickup truck? Come check out the Toyota Tacoma and Tundra today at Toyota of Clermont! We’re located at 16851 State Road 50 and open seven days a week.